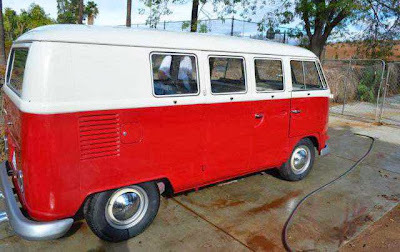 Buy Classic Volks – Volkswagen Kombi for sale at Riverside, California, USA on Very Good condition, nice and clean exterior and interior. This a 1987 65 Kombi Beautiful inside and out. 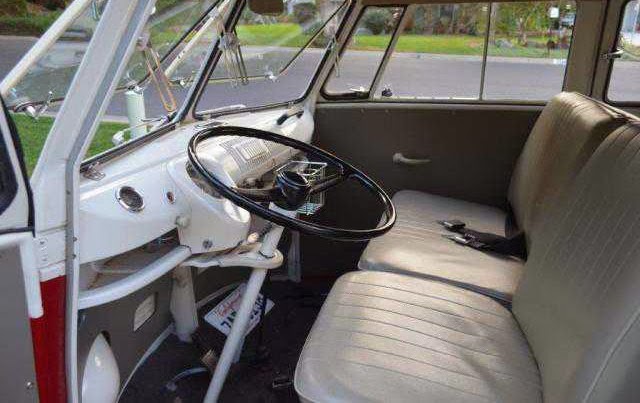 Drives with that classic vw feel and shows really nice. Great head turner. Attend shows proud to be driving this wonderful machine. Original color Pearl white Upper portion painted to replicate pearl white original color and lower portion painted similar to Titan red. Not the original color but similar. Has that nostalgic classic look for colors. Please read all before calling. This will save us both time. Metal work done as follows: all rusted through metal removed and replaced with new metal. While removed the area behind the rusted panel primed with rust stop primer then painted before installing new metal. 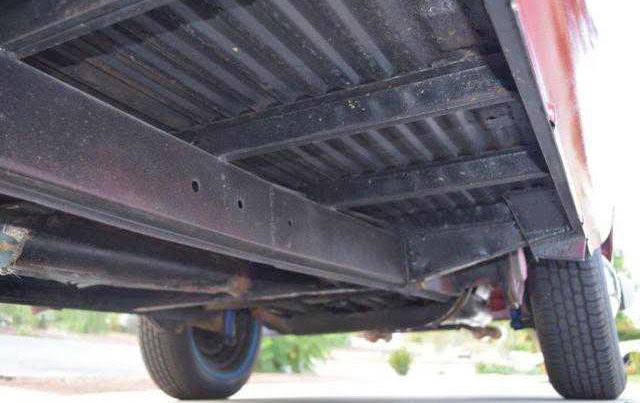 Surface rust treated with rust stop primer to prevent future rust. Body work done as follows. Paint sanded down to a firm surface and some areas stripped to remove compromised undercoats. ¬All bodywork done properly with plastic fillers put on bare metal as needed. Primed and glazed with polyester primer. Painted with 100% solvent based urethane catalized basecoat then clear coated with high solids clear. Although the paint job and body work looks really nice , there are still flaws and waves in the body as it had when it was new. This is not a show quality paint job or bodywork. Only a daily driver use quality job. I would say about a 8.5 or better out of 10. Which is really nice. Under carriage. Primed with rust stop or rust converting primer. Using a high phosphoric acid based rust stop primer is the best way to stop rust and protect the surface from future rust. Then coated with coat of black paint to protect the primer. While I do not offer a guarantee for any of the work done either implied or express. 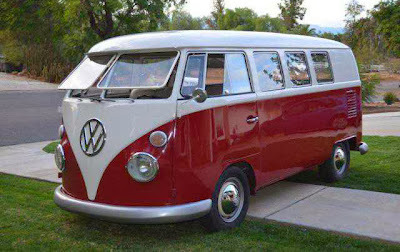 Work was done to the best of my knowledge to keep the bus on the road for many years to come. Interior done with high quality TMI replica seat covers. 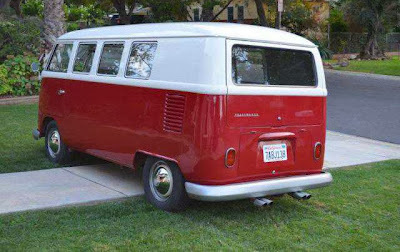 Rear seats are bay window and not original. 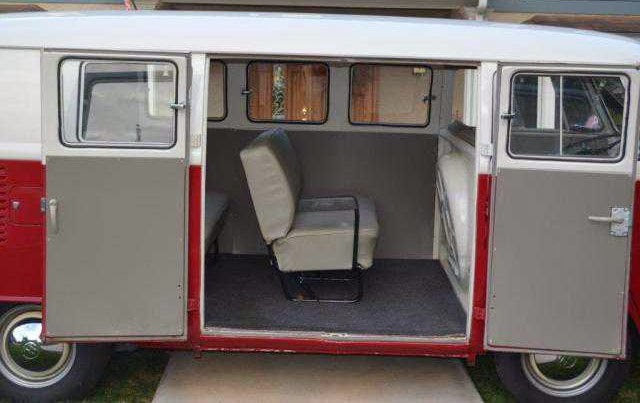 The front seats are original and in good condition. Padding replaced. Behind all the door panels and headliner is a product similar to Dynamat. Insulated foam to help deaden the sound. Interior door panels to replicate the original Uberkombi panels on some Kombi busses. Carpet installed to keep sound to a minimum. A salt and pepper plush to replicate the early loop carpets with a softer feel and a wider layout. The headliner is a Classic cloth similar to Mowhair. All the interior painted as the original Kombi busses were including the bulkhead and window areas. Engine and drive train. Brake shoes, emergency cables, Wheel cylinders soft and hard brake lines and hardware have been all replaced. From driving It a few months it seems to stop fairly well. Engine is a 1776 dual port. With performace cam and low miles. 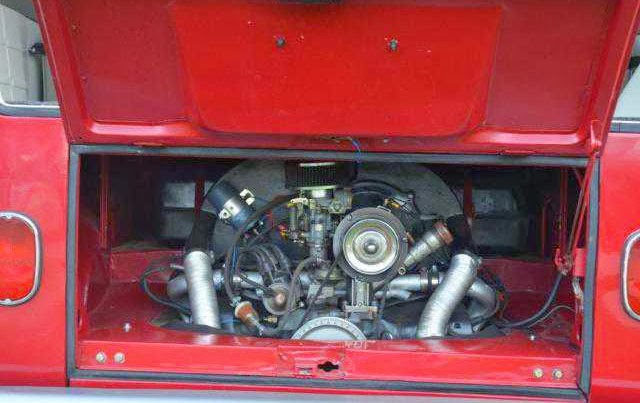 Running the stock 34mm carb it has plenty of power to climb hills and accelerate through traffic yet get pretty good gas mileage. The transmission is freshly rebuilt with all new bearings. Cruising speed is 65 passing speed is 70. This is the original gearing for this year which was upgraded from previous years. Steering has some looseness as most split windows do. In summary if you were to buy a project bus and restore it to this condition it would cost you close to 50k. or more. I have talked to several people who have purchased a project and spend that much just to have the work done. This entry was posted in 1965, Bus, Closed, USA, Volkswagen and tagged Volkswagen Bus on November 23, 2013 by Buy Classic.